Pour into glasses. Makes about 2 tall glasses. 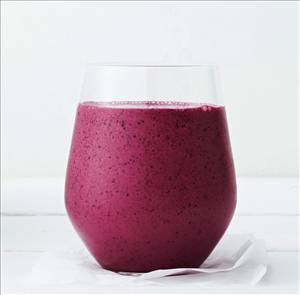 There are 295 calories in 1 serving of Blueberry Smoothie. Calorie break-down: 2% fat, 87% carbs, 10% protein.